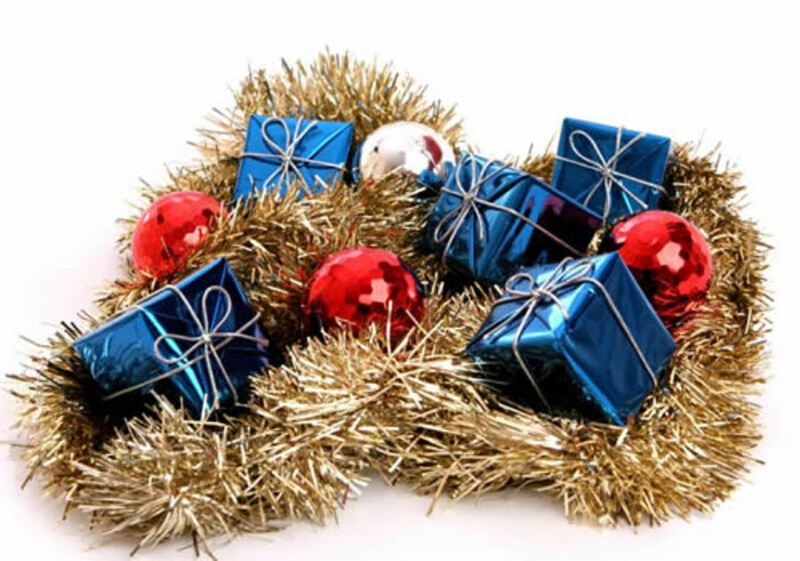 For many people, tinsel and garland have now become synonymous with one another, with some now calling the combination garland tinsel or tinsel garland. In the past though, tinsel was though of as the long, thin, stringy silver that you hung on the Christmas tree to make the lights beautifully reflect off of it. While that's still true, in this article we'll talk about garland and tinsel, or tinsel garland as one and the same, allowing for the wider interpretation most people think of it as today. So when we talk about tinsel for the purposes of this article, we'll include the long, thin silver pieces a lot of us have used to brighten up our homes during the Christmas holiday, but also the shiny, longer strings of garland that is considered tinsel by many of those using it as part of their Christmas decorations. 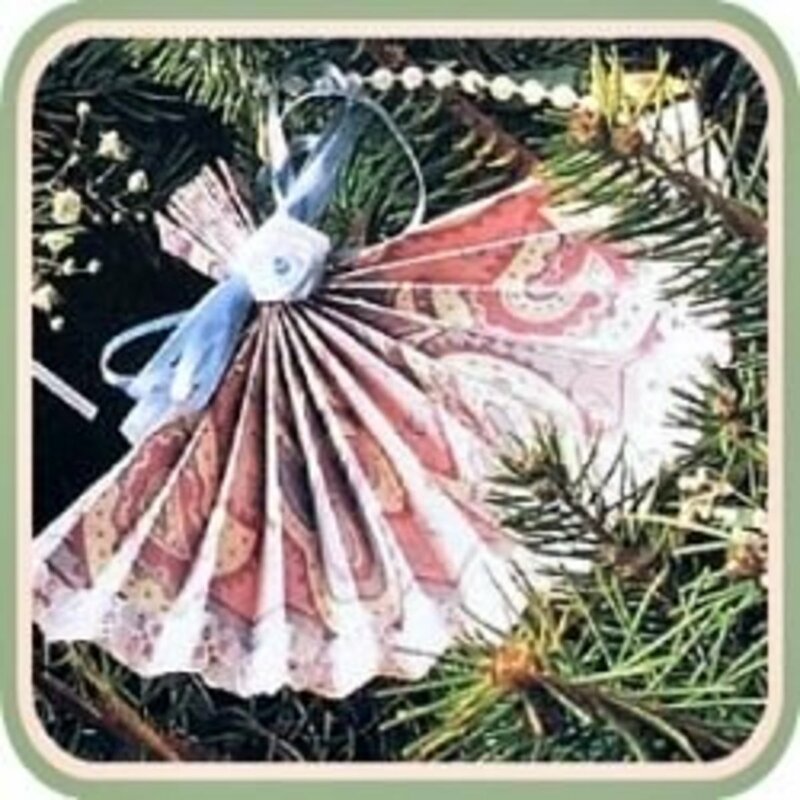 The reason why others don't always associate the two is you can have some garland, for example, garland with the needles on it made to look like a part of a evergreen or pine tree. Even there you can take that and wrap garland tinsel around it to add color and shine to it. That particular type of garland won't be part of this article, although you will definitely be able to take the ideas and tips given out here and use them with that type of garland. 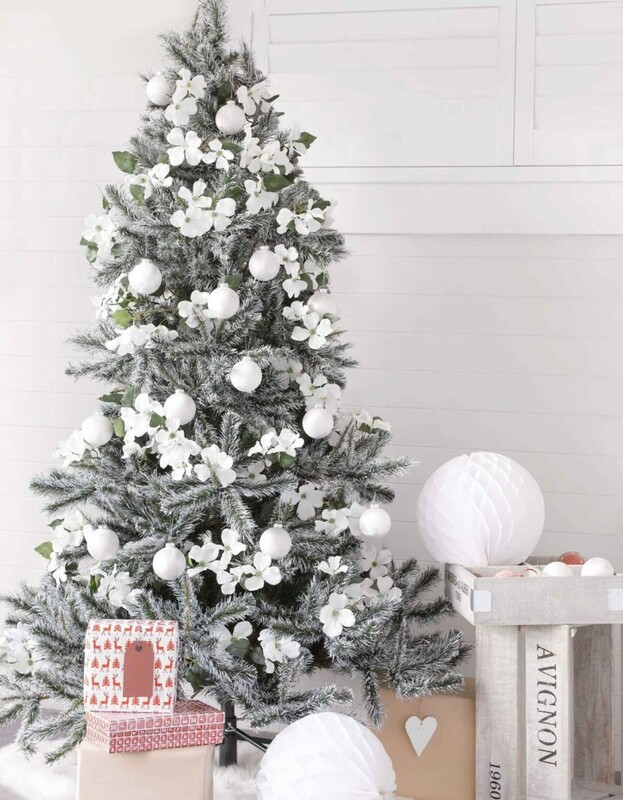 We also will be focusing on using tinsel or garland in areas of the home that don't include the tree. To me, garland or tinsel used on a tree is pretty self-explanatory, and other than the choice of colors and the couple of different ways to place it on the tree, there isn't too much more to say about that. Finally in regard to garland and/or tinsel, there are some objects which combine the two used to create something entirely new. One example of that is garland, tinsel wreaths. 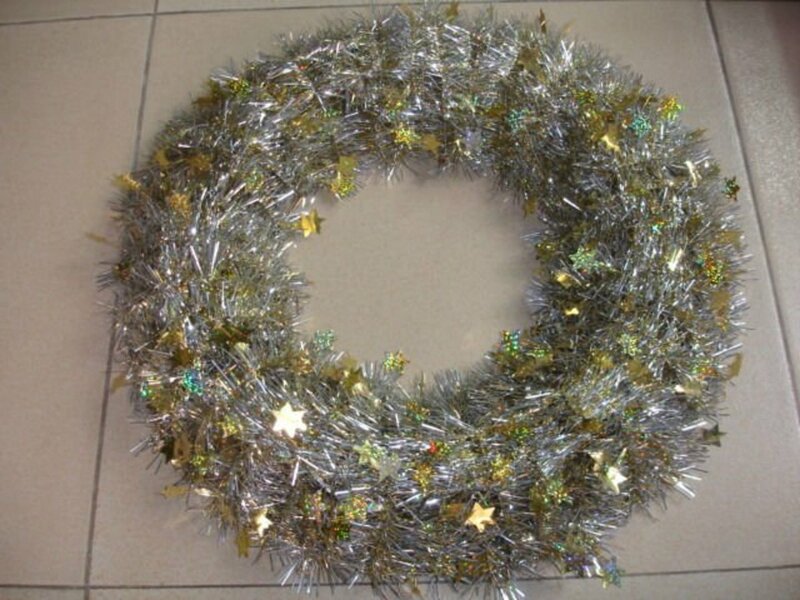 You can buy those already made, or use a string of garland tinsel to wrap in a circle to make your own. There are other designs that can be made or bought using tinsel, but you get the idea. 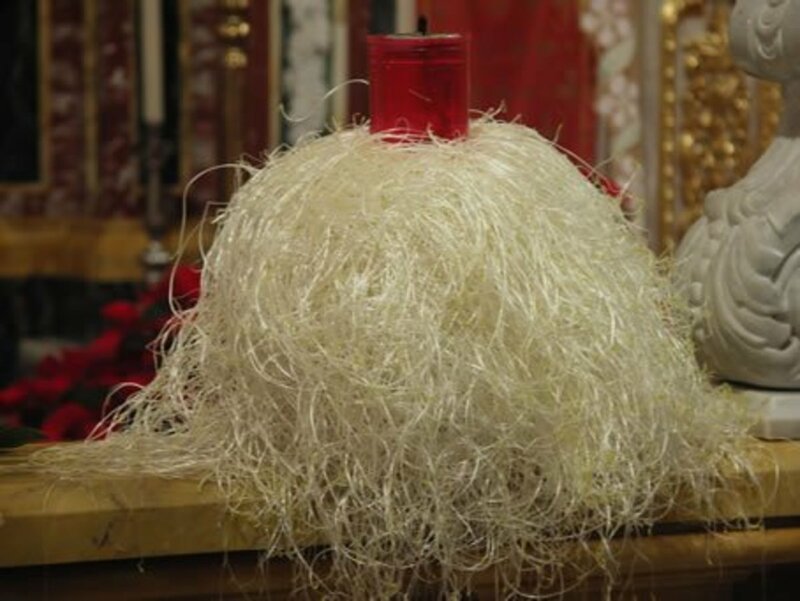 Although the main focus of this article isn't on decorating a Christmas tree with tinsel or garland, I did want to include this wonderful picture of what the majority of people thought of when talking about tinsel many years ago. It's the long, icicle look, which only came in the color of silver which was mostly considered tinsel in those times. The tree below show, for the most part, how tinsel was used long ago; although it is still used in this way by quite a few people as well. For most, this type of tinsel is a little more intimidating because it is more time consuming to place on a tree because of the need to take a little at a time and put it on. The results are worth it, but it is discouraging to some who struggle to find the time to do it. It's this tinsel which looks the most awesome to me, but again, not only on Christmas trees is it time consuming, but it can be when placing it around other areas of the home as well. Again, it's well worth the effort for those who do have the time and patience to do it, but it also needs to be cleaned up afterwards, which also must be taken into consideration by those brave enough to tackle the task. 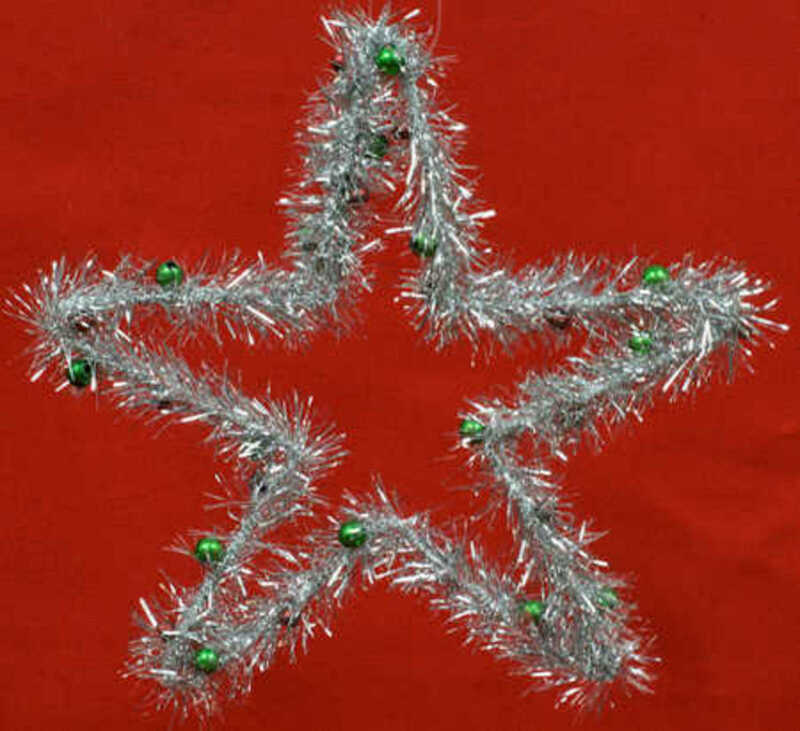 Tinsel is great to use on a variety of objects, including the wreath and star shown below. Wreaths are especially nice to include garland tinsel on, as it's not too hard to wrap around the pre-made shape, and when completed, really looks nice. As for other shapes or objects like the star, it's always pretty easy to take some tinsel and wrap it around an object like the star to add some glitter and a more compelling look. You can do this with any shape or type of object. Notice in both photos showing different tinsel decorations that there are stars on the wreath and what are called "beads" on the bottom star figure. These add a little to it beyond traditional garland tinsel, making it more interesting to look at. Garland tinsel is a fantastic tool to use in order to complement other items used to decorate for Christmas. Below is a simple, but very effective example of how you can take some elements like miniature Christmas presents, add some garland tinsel wrapped around it, and you have an instant look that is terrific to look at. 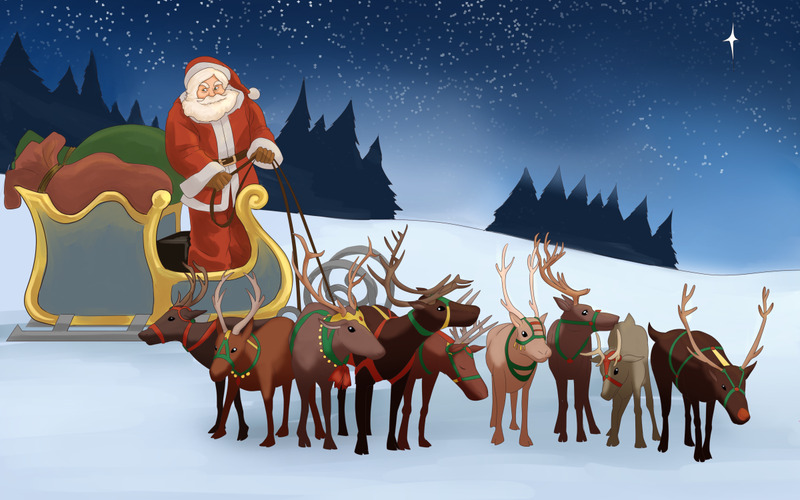 This can be done with many other objects you could create a Christmas image or scene with. I've done this when putting up Christmas villages and accompanying accessories to make amazing little productions. 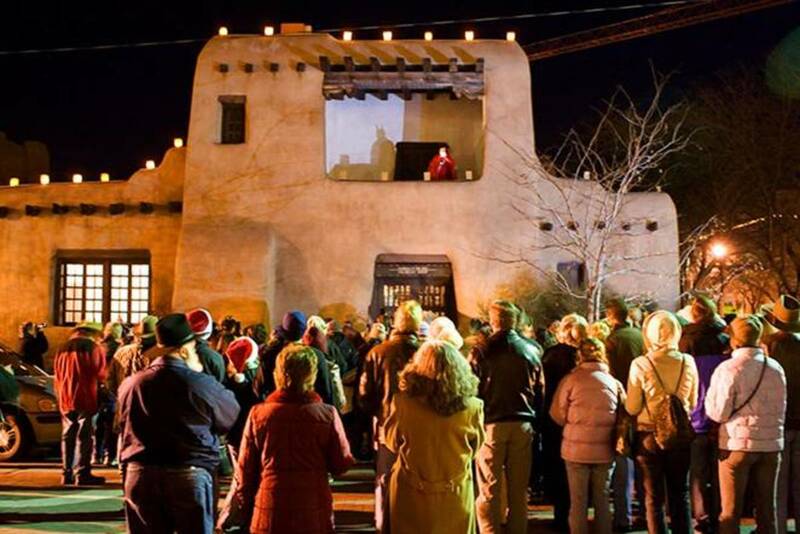 You can drape different color and size garland tinsel on parts of the village to make it stand out and enjoy the reflection from lights in the room. That's what must be taken into account when adding sparkly garland tinsel; it is primarily a reflector of light during the night hours when the lights in the house must be turned on, and it really adds a magical, mystical sense to the atmosphere of the room. And that after all is a lot of what the Christmas holidays are all about, and what tinsel or garland tinsel is able to help convey. One easy and powerful way to use tinsel is to add it to a string of lights by wrapping it around the wire. This will look great using tinsel by itself, but adding garland tinsel which includes some stars or other objects which come with it are a great way to not only make it look terrific at nighttime when the lights reflect of the shiny tinsel and lights, but also in the daytime when it adds a more full look to the decoration. Another thing you can do is add a hanging bulb or other decoration to even make it look better. 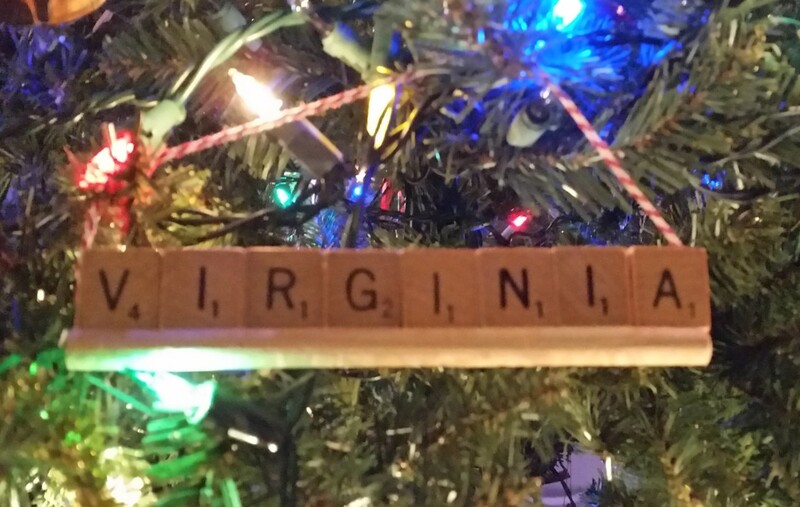 Next is a great idea to add to things you may already have in your home, or maybe objects brought out specifically for Christmas time. 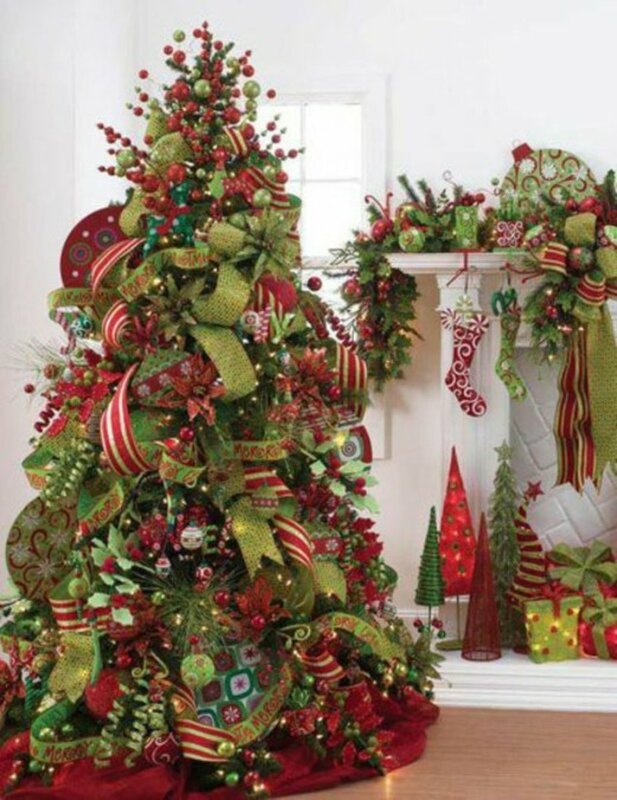 Similar to the photo of the garland tinsel placed on the flat table above with the miniature presents included, this takes it from the horizontal surface to a vertical surface. 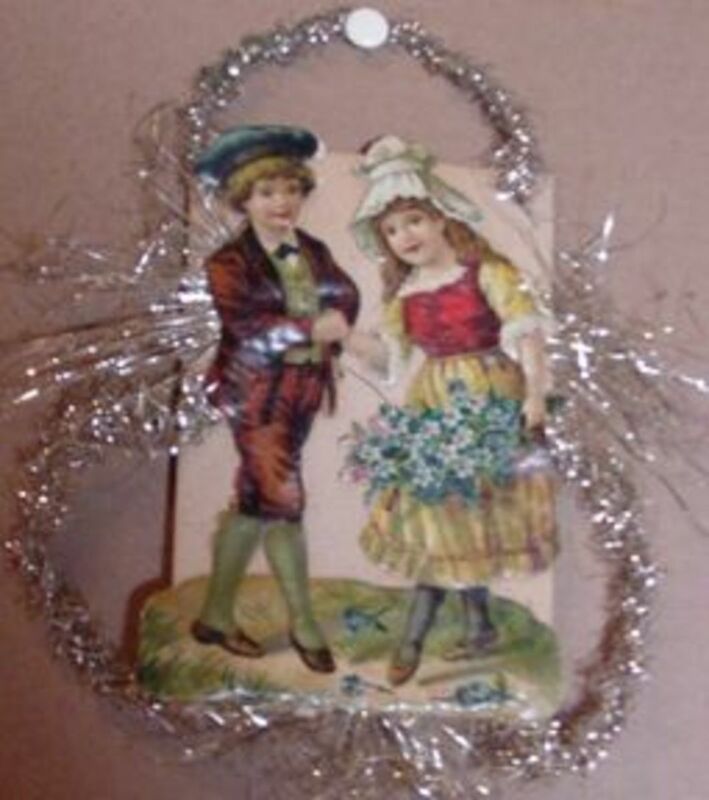 Using garland tinsel like this can also be applied to pictures or other objects hanging on your walls. You can see in the photo below that the way it was done was to not even attempt to wrap the tinsel around the object like most would do, but a tack was taken and used to secure the tinsel to the wall, and from there it was shaped to complement the image. That's not to say directly wrapping garland tinsel around an object shouldn't be done, as it can and should be, but it simply reveals another easy way someone can do it if they want to include different design elements into the decorative look. Seasonal pictures or hanging items are a great way to take tinsel and wrap it around them to add some spice to it, or you do the same with some statuary or figurines places on tables for the Christmas season. 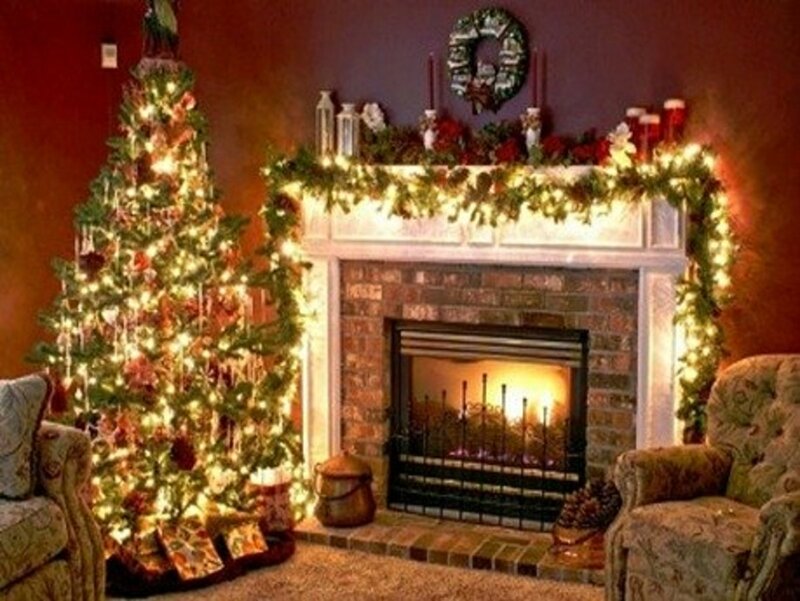 Certain parts of the house, along with some furniture, lend themselves well to adding garland to them for Christmas decorations, as you can see on the fireplace mantel. It doesn't matter for the sake of generating ideas that this happens to be evergreen- or pine-looking garland, as it just as easily could be any other color, width or type of garland tinsel. The point is to see how garland of any type could look on a fireplace mantel, or some standing piece of furniture like a book case or other type. Anything in the house that is flat and has a surface to attach garland to could work, as would a flat surface off the ground in any way. An entertainment center is another possibility, and I've done that in the past with great success, using garland as a centerpiece of the decorations on it. Garland including a string of lights work very well in these circumstances, as you can enjoy the color and shine in the day, and then in the night the added reflective quality from the lights which is enhanced by the garland tinsel. Garland and tinsel are a very versatile set of tools that can be used to complement and add immensely to the quality of the Christmas decorations you put out for the holiday season. Since it is flexible and can be bought in just about any type of color and size, you can use it in almost any room and circumstance. I've even cut it to fit specific themes I have wanted for the year. None of this is wasteful, as it's easy to store and all you have to do is take it out of storage and lay it out to see what you have to work with. Whether using the icicle tinsel, which looks wonderful, but is a little more time consuming, or if you decide to primarily use garland tinsel as your Christmas decorations of choice, you won't regret placing it around the home is places where friends and family can appreciate and enjoy it throughout the Christmas holiday season.